Hilltop Montessori School is an independent, secular, non-profit school offering the highest quality of private education based on the principles of Montessori philosophy. Hilltop’s school community is strongly multi-cultural and comes from a variety of socioeconomic backgrounds living in Jefferson, Shelby and St. Clair counties. Our student body is composed of children from 18 months through eighth grade. The environment promotes a child’s discovery, learning, teaching and growth and encourages independence and a love of learning, as well as intrinsic motivation to excel academically. Hilltop Montessori’s curriculum fosters within each child a positive attitude toward learning, a respect toward self and others and an understanding of one’s responsibility to the world. The curriculum is geared to each child’s unique abilities and needs, allowing each child to be empowered at his or her own level of aptitude and achievement. Hilltop Montessori School was founded in Birmingham, Alabama, in 1996 by Cindi Stehr, who believed strongly in the fundamental theories of Montessori education. The school received its status as a non-profit corporation in 1998, when the original preschool program was expanded to include an elementary program, developed by Michele Wilensky, the school’s current Head of School. Since that time, Hilltop has grown tremendously to include two toddler programs, five primary classrooms, three lower elementary classrooms, one upper elementary and a middle school adolescent program. The school was originally accredited by the Southern Association of Colleges and Schools (SACS) in 2004, and is also accredited by the Southern Association of Independent Schools (SAIS), the National Council of Private School Accreditation (NCPSA) and an associate member of The American Montessori Society (AMS). Our early childhood program is also accredited by The American Montessori Society as of 2014 and HMS is proud to note that we are the only school in Alabama to have all 4 of these accreditations. The school’s campus is valued at over 7 million dollars and sits on over 7 acres in the beautiful, picturesque town of Mt Laurel. As with other non-profit, private schools, the school is run by an administrative structure that also includes a Board of Directors as its governing body. The Board of Directors includes retired educators, a physician, an architect and an array of individuals who are passionate about Montessori education. Hilltop receives many generous donations of support, both locally and nationally. Twice, the school has received the prestigious Ursula Thrush Peace Seed Grant, named in honor of a noted Montessori educator who worked toward peace education throughout her lifetime. The school has also received two grants from the Whole Kids Foundation for our edible gardens and apiary. Recent grants include support from CSX Transportation through the Healthy Kids Initiative. Previous donations have come through The Daniel Foundation, The Community Foundation of Greater Birmingham, USAmeribank, Regions Bank, Vulcan Materials and private donations. 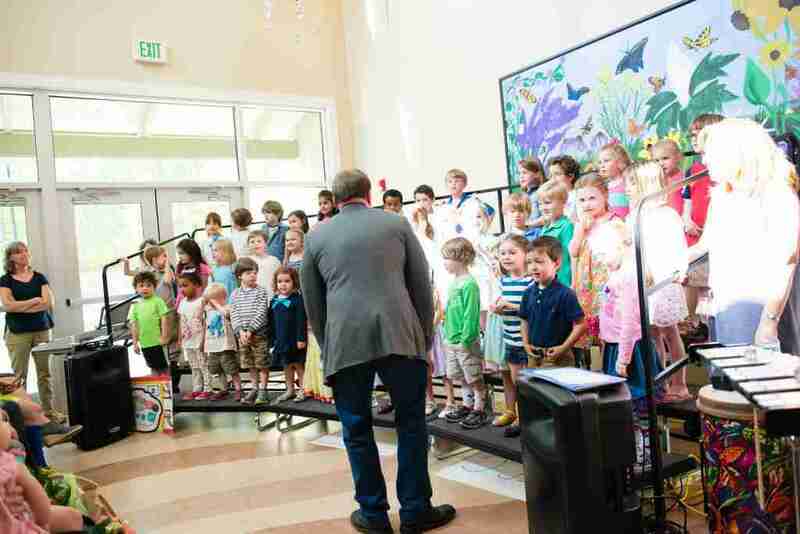 Traditions of Hilltop Montessori School are extensive and include an emphasis on environmental education. Each learning environment offers outdoor classroom spaces, gardening areas that support nutritious snacks for the students and beautiful outdoor, naturally wooded play areas. The property also boasts a nature trail implemented through a grant from Legacy, Inc., as well as areas for composting and an apiary. Family traditions include annual events such as an Art and Music Festival, Fine Arts Night, an annual Science Fair, job demonstration nights, the parent-child holiday celebration, a Back to School Party, Beach Party, Hilltop on the Green fundraiser, fall festivals and Thanksgiving celebrations that involve the entire school community. As of 2014, the school also holds seasonal peace ceremonies that are non-denominational but inspirational to the community and reflective of the changing of the season. Monthly opportunities for parent interaction involve our whole community in the learning process and encourage family participation, creating a healthy relationship among student, educator and the home. Many parents serve on The Parent Action Committee, assist with fundraising, participate in family events and work in the classrooms. Parents of Montessori students are encouraged to become involved participants in their children’s education. Hilltop Montessori School’s stakeholders vary and include grandparents, alumni, board, parents and the community of Birmingham.